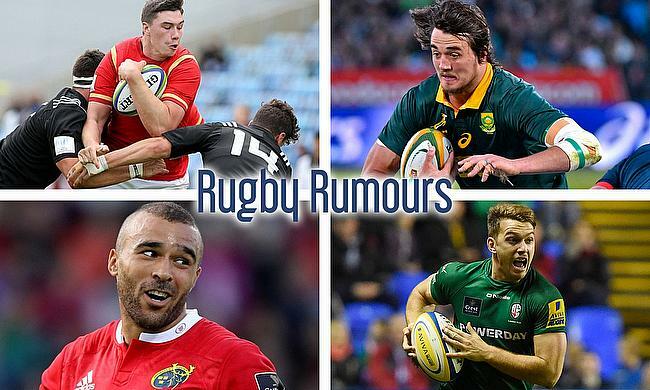 Rugby Rumours: Welsh lock in demand, Springbok influence, Lewington on the up and Zebo's French quest. The 21 year-old Welsh lock Seb Davies is the in high demand, with the Pro 12 side Scarlets putting in a bid for the talented youngster. Currently at Cardiff Blues, the twiced capped lock has found himself in bidding war down in the South of Wales. In Ruan Ackermann's new look Gloucester there were always bound to be some Springboks entering the fray. The most recent link is with South African lock Franco Mostert who is in Japanese leagues with the Ricoh Black Rams. Flying winger Alex Lewington has been consistantly impressing for London Irish, since his move from the Tigers in 2013. Their promotion from the Championship has put Lewington in the shop window, with the likes of Saracens and Wasps taking serious note. Simon Zebo will be at the end of his contract when this season is at an end, and the winger is looking to the Top 14 for the next step in his career. The Irish and Munster utility back has been with the club since 2010, but as that door closed, another potentially opening with Racing 92 or Bordeaux Begles.